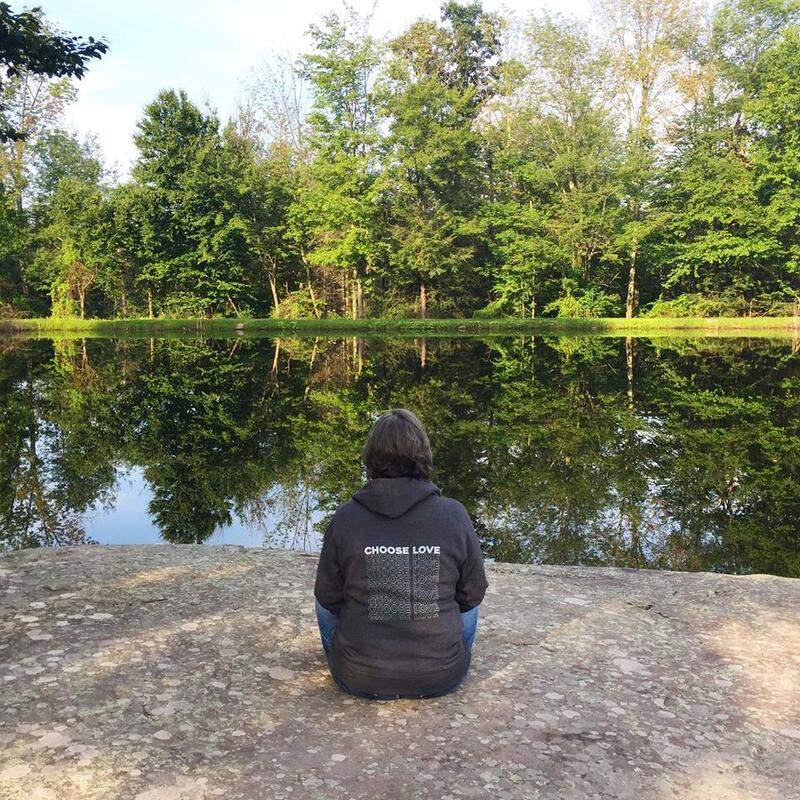 After attending the 5th and final year of Camp Good Life Project, I had a clear sense of what nourishes me. Connections. Conversations. Community. All of those fill my heart. Meditation. Mindfulness. Mantras. Those fill my soul. Letting the rest go. Clearing the way for what comes to me and fills me up with joy. 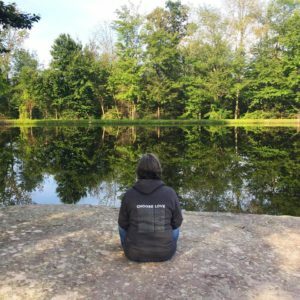 As I sat on a rock looking out at a lake, I started listening for what I could give myself permission to experience to feel more joy and more peace. What are you willing to give yourself permission to experience? “You didn’t come all this way to sit on a couch, did you?” That was my pick up line at a dance in 1994. It was awkward and funny and eventually I danced with the woman who became my spouse. It was almost 22 years ago that I went to a dance by myself to be part of the L.G.B.T. community, to meet new friends, and to dance. I remember feeling scared to go. It took every ounce of courage to get on the subway from the Bronx and travel to Webster Hall in Manhattan for a big dancing night. I didn’t know a soul there. I walked into the room wide-eyed and curious and anxious. I was searching for something I didn’t even know I was seeking – my inner freedom. The freedom to be myself, fully. The freedom to be with a woman. The freedom to love – all of me. The freedom to release worry of what “others” might think. That night in Webster Hall gave me more than a life partner. It gave me my life back. A life that was no longer ashamed to be who I am in the world. A life where I was no longer inhibited by internal or external homophobia. A life where I was no longer inhibited by my body image. Dance halls and clubs are where so many in the L.G.B.T. community gather for a sense of belonging, connection, and hope. Dance floors are places of refuge. In Buddhist terms, clubs and dance floors are often our sangha. It’s our community. It’s a place we can express ourselves, release inhibition, and be completely free – arms in the air (like we just don’t care). The tragedy in Orlando was an attack on more than the L.G.B.T. community. It was an attack on expression and freedom. It opened up old shame wounds of our society about integration, diversity, sexuality, and our beliefs on how we define love. In many ways, it was an attack on love itself. The mass shooting could have targeted any community and many have experienced this trauma before in other places and with other victims: movie theaters, schools, politicians, children, churches, and L.G.B.T. communities. Our L.G.B.T. community has been vulnerable to hate, to slurs, to violence, to whispers, to looks, to shame, and more. Anyone who has ever come out knows these experiences deep in their cells. It’s the one where someone in our life feels disappointed, scared, angry and ashamed about who we are and who we love. At times, it triggers our own questioning of our identity and we begin to question — is this the life I want? Then, on a random Saturday night, you ask someone to dance. And you dance and dance and dance. And then you know, this sangha, this dance hall/club refuge is the very freedom that lives inside of you waiting to be expressed in the world. Please remember – you are not alone. We are in this together. Cry. Hug. Hold Hands. Sing. Be Seen. Be Heard. Love More. Dance. Keep Dancing. Allow grief to surface. Reach out. And when you are ready, please keep dancing.